What a lovely dish this is. I like to serve this as an appetizer with some crisp perfectly chilled white wine. You can prep this ahead of time and then roast/saute them in a hot pan. The Pancetta will provide you with just enough fat to get these guys perfectly browned each side. This is so easy to make and it will make your dinner guests and friends smile! 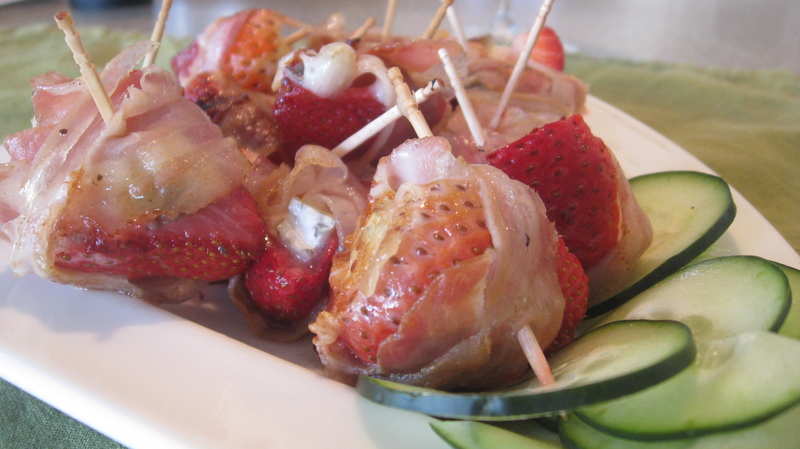 Cut the strawberries in half, and scoop out the middle with a small sharp knife like a V. Cut and place a small piece of goat cheese inside the strawberry. 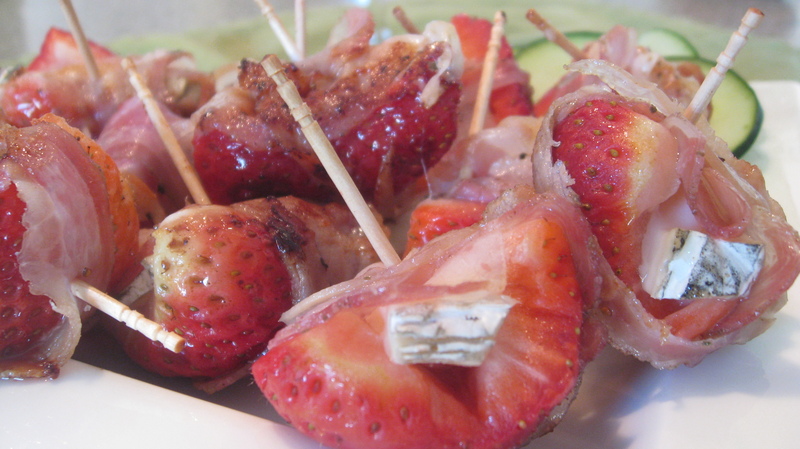 Carefully wrap the strawberry with goat cheese in the Pancetta securing it with a toothpick and place it into a hot pan. Keep rotating until they are golden brown and tiny bit crusty. You will love these! love this combo! what a great idea!